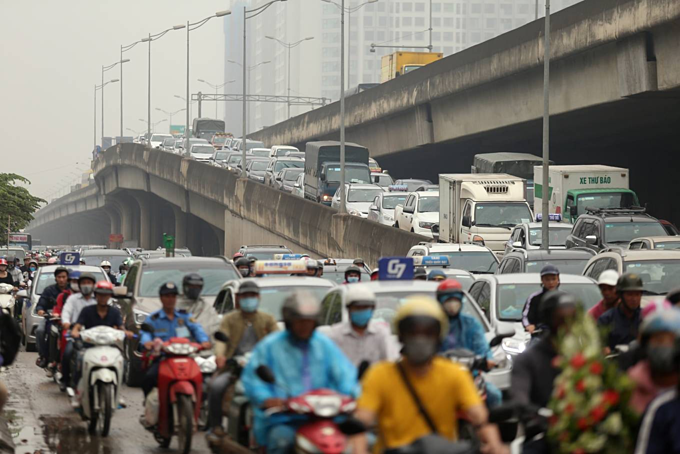 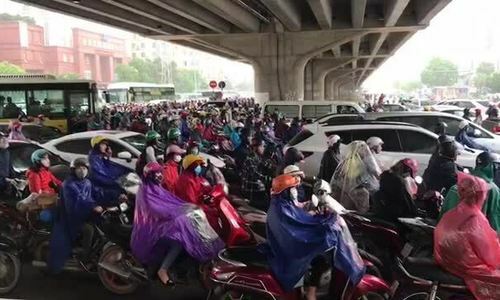 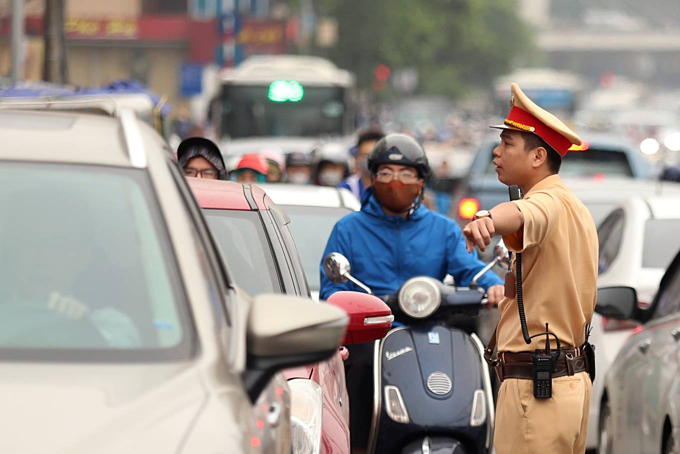 Thousands of vehicles were stuck on Hanoi streets Tuesday as offices and educational institutions reopened after the Hung Kings commemoration holiday. 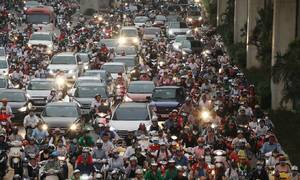 Many roads were gridlocked in the capital as people returned to work after the longish holiday. 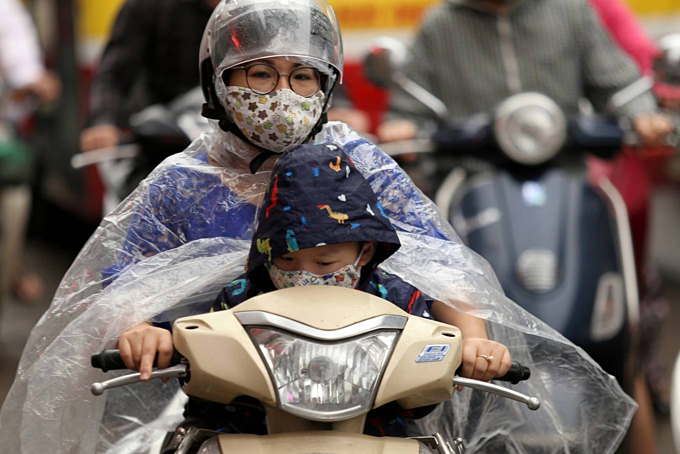 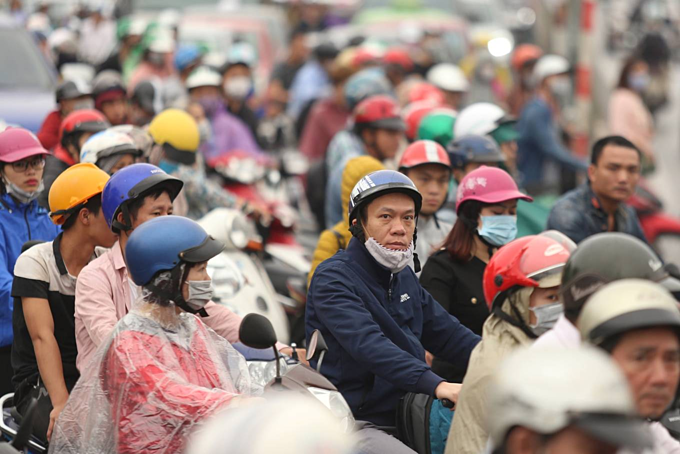 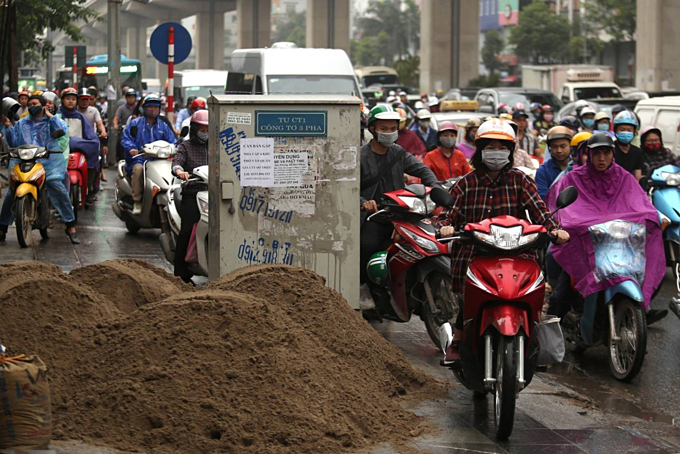 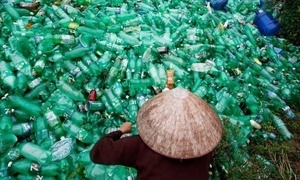 Cars and motorbikes piled into Nguyen Trai street to the west of downtown from 6 a.m. to 8:30 a.m.
Vietnamese celebrate the commemoration day of the Hung Kings (2879-258 BCE), the nation's mythical founders, on the 10th of the third lunar month every year. 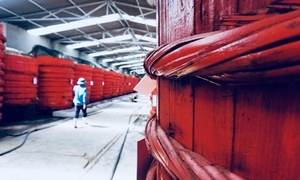 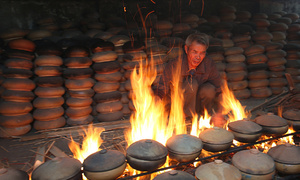 As the commemoration day falls on April 14 this year, the three-day festival started on April 13. 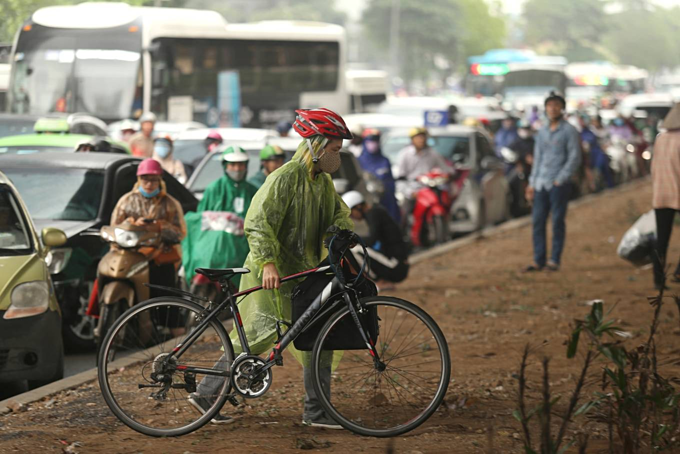 The early morning rain also impeded traffic. 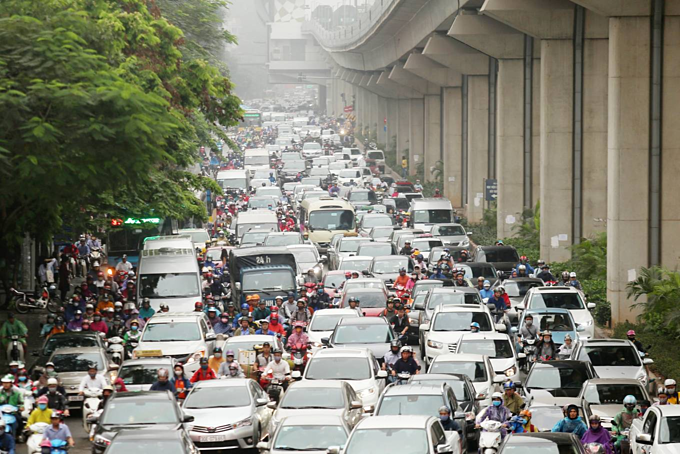 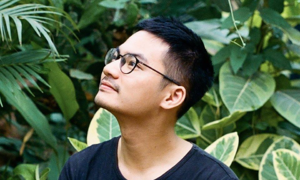 "My child needs to reach school around 7, then I need to go to work, but both of us will probably be late due to the traffic jam," a woman taking her child to school on her scooter Nguyen Trai said. 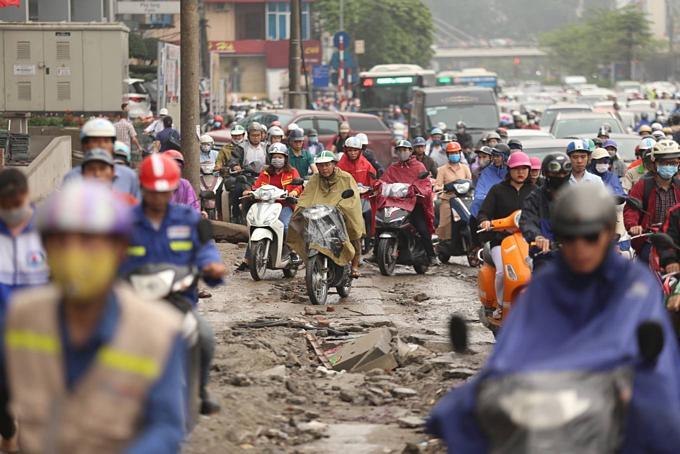 The traffic crawls a few centimeters at a time in the morning drizzle on Hanoi's streets on Tuesday.